Jesse likes to dig deep. As a senior member of our Research Team (and resident horticulturalist), Jesse strives to unearth and engage exceptional candidates for our client searches. His client projects include: Fountain House, Montefiore Einstein, Mount Sinai Health System, and Partners in Health. 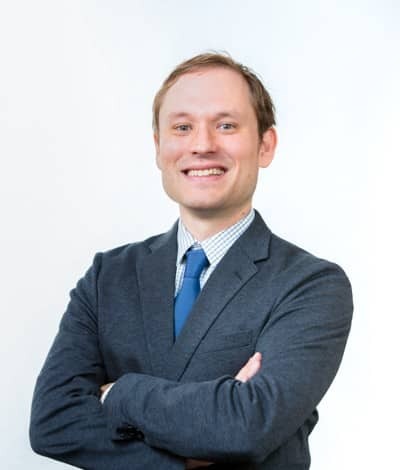 Prior to joining Development Guild DDI, Jesse worked for 10 years at Heidrick & Struggles providing candidate research and outreach for the firm’s education, nonprofit and social enterprise clients. While with Heidrick & Struggles, Jesse served as lead researcher for senior level positions at Georgia Institute of Technology, the MasterCard Foundation, Partners In Health and the Ford Foundation. A graduate of the University of Florida with a degree in history, Jesse now calls Brooklyn home, where he cheers (quietly) for his beloved Marlins. Outside of the office, he is thinking what to create for dinner with his weekly CSA vegetable and fruit share and what music to play when it’s time to turn on the stove!